Credited with moving vegetarian cooking from the fringes of American society to mainstream dinner tables, Mollie Katzen has proved that there's more to salad than tossed greens. With fresh fruits and vegetables, pungent cheeses, beans, oils, herbs, and nuts, a salad can be a hearty meal in itself. 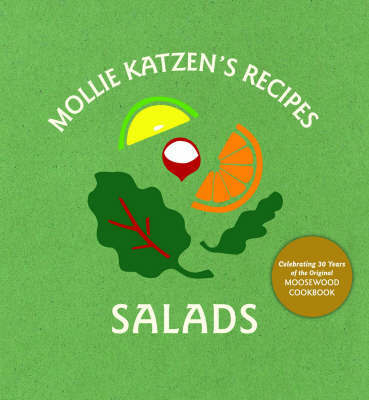 Celebrating The Moosewood Cookbook's 30th anniversary, the latest addition to the Mollie Katzen Recipe series brings together her classic salad combinations from Moosewood and Enchanted Broccoli Forest in a convenient easel format. Each recipe is lovingly hand-lettered and illustrated with Mollie's distinctive pen-and-ink drawings, making this timeless collection the perfect kitchen countertop companion.